The innovation we witness from our customers is what makes our jobs truly fun. From the inventor walking in with a drawing on the back of an envelope, to large corporations ready for long-run production, being on the cutting-edge of that unique flavor of American innovation, and using our expertise to support these advancements is what brings out our passion in the work we do, inspiring us to continually exceed customer expectations. Rex Plastics is a full-service plastic injection molding contract manufacturer. We have the passion and the knowledge to take your project from conception to completion. You can literally walk in our front door with a concept, and receive products out the back door ready for retail distribution. We insist on building our customers’ injection molds in America, and only purchase domestic raw materials when possible. This is because we feel it’s important to the health of our economy, and the longevity of our country to be as self-sufficient as possible, not relying on imports to provide material items for its citizens. We also feel that importing products from countries that abuse basic human rights is an affront to our nature as Americans. Not only do we offer rebates for CAD engineering and prototyping, as long as the injection mold remains with us we will guarantee that mold for life. The guarantee includes cavities, cores, runners, parting line surfaces, ejection, and water channels. That’s right, you will never see a repair or maintenance bill from us for your mold! Note: certain exclusions apply. The guarantee does not include electrical components or undercut creating mechanisms due to the abrasive nature of these components, and the rate at which they wear out. Here at Rex Plastics, we consider one of our greatest achievements to be the jobs we create and the positive affect we have on the lives our employees, their families, and the local community. Whether it’s our flexibility with family-related absences, employee birthdays off with pay, or our local community outreach, we feel the bond with those around us to be a vital element of who we are as an organization. 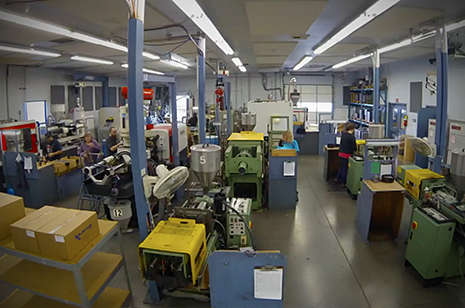 Rex Plastics is family-owned, cares about their customers and loves working with plastic injection molding. Rex Plastics has had only three of its 214 customers move to other molders in the last decade; that’s a customer retention rate above 98%!